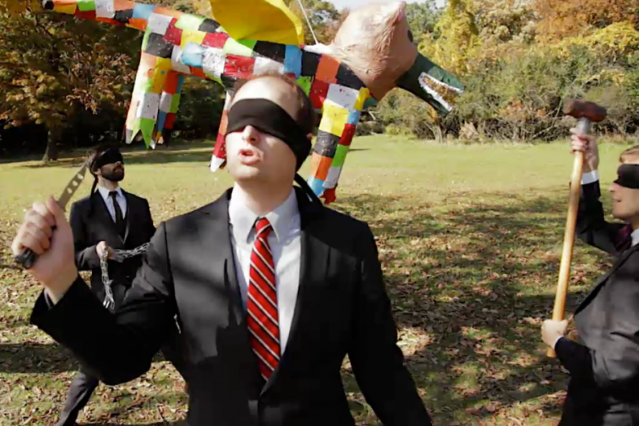 For their new Brian Cagle-directed clip, Chicago indie-rock trio volcano! live out a very intense, very adult version of a common fantasy — after much hunting and even more dancing, they elevate their piñata game in ways no grimy kid is capable. “Piñata” is a standout from their forthcoming, Dirty Projectors-stamped full-length of the same name, due this June via the Leaf Label.